So in a previous post we looked at attempts to brute force my SSHd at home for the duration of a week. Lets see the monthly statistics now to get a wide picture of situation. 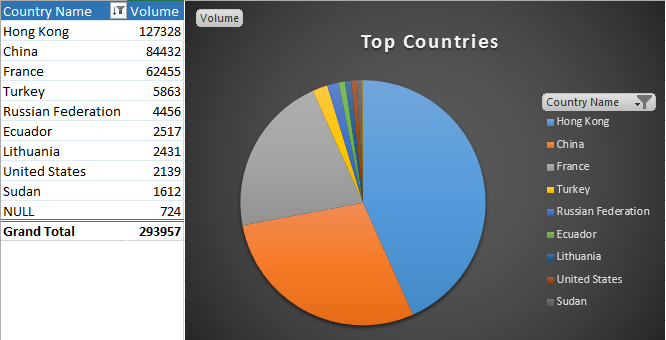 The top countries changed a bit with Hong Kong getting the first spot and bumping China to 2nd, while France came out of nowhere to 3rd place bumping Turkey and Russia a spot down! From a single persistent IP perspective, China came first and Hong-Kong second with France keeping the 3rd place. 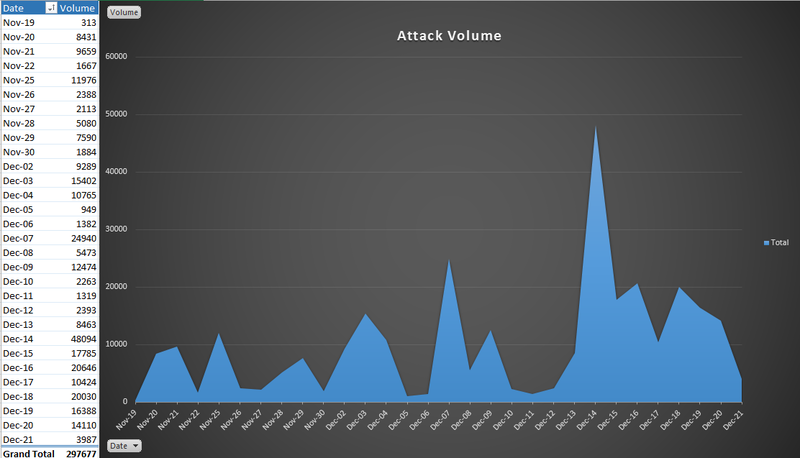 The attacker volume is quite erratic yet we can surely see a drop around the weekends... even hackers have to clock out I guess! Lastly the map has not changed much other than France overtaking pretty much everyone except China and Hong Kong!